Now, 36 visitors are online. 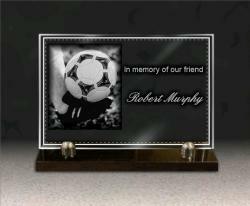 Customized memorial plaque in glass, engraved with photo. 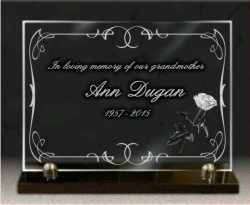 This customizable funeral plaque with engraved photo of the deceased is composed of a 30 x 20 cm glass plate and a 30 x 10 cm granite base. These two elements are rigidly fixed with chrome-plated brass fasteners. This chrome-plated brass fastener will not oxidize over time and will not rust. The whole is extremely stable and does not fear storms. The glass plate is decorated with two beautiful almost symmetrical engravings. 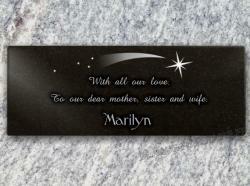 This modern engraving may look like wings. 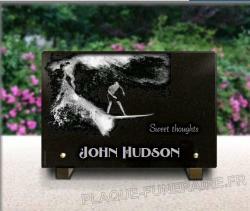 To have the photo of the deceased engraved on the glass, simply import your photo into the configurator. click on it then import your photo. 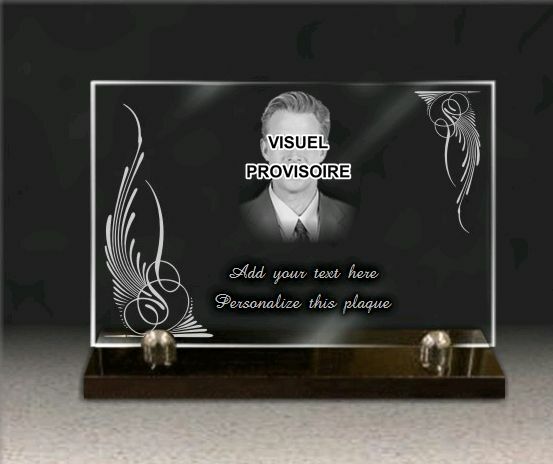 After ordering, the engraver will send you a photo-realistic study of the engraved portrait. This portrait is worked by hand to highlight the deceased. It is an artistic work of portraitist and engraver of art. 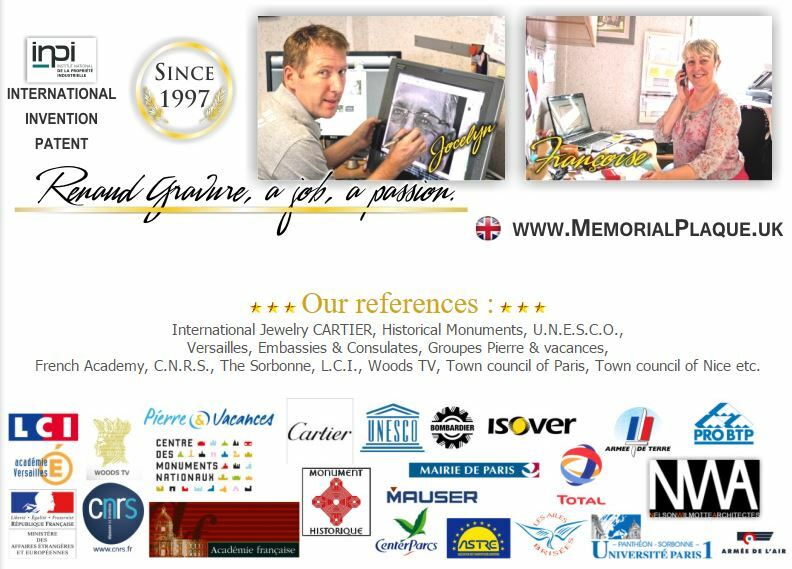 This presentation is therefore not made using automatic software because it is the value of Renaud's artistic engraving work that makes all the difference between our service and the low-end funeral plaques of the traditional market.